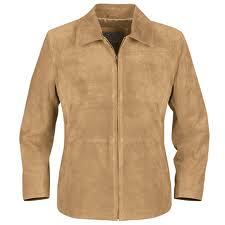 The cleaning and finishing of a suede/leather garment is different to that of textile garments. In order to achieve the best possible soil/stain removal, the cleaning process involves totally immersing the item in the relevant cleaning medium. Whilst the process removes most of the surface soiling, it may not remove more ingrained soiling that can often found around collars and cuffs. During the cleaning process, natural defects or manufacturing faults can be highlighted where often no fault was visible before. Following cleaning dark colours (black/navy/brown etc) can be several shades lighter that the original colour. Garments are often made from more than one skin. When the garment is new the whole appearance can be even in colour and texture. Cleaning will inevitably strip out some oils and dyes and bring out the variations in skins and colour. During the cleaning process there might also be some relaxation/shrinkage, this is because the original skin was animal shaped, not garment shaped. The good news is that the entire cleaning and finishing process has been specifically designed to minimise the risk of any of the above becoming a problem or spoiling your garment. • Sheepskin Coats • Suede/Leather Jackets • Suede/Leather skirts and trousers • Waistcoats • Gloves • Sheepskin Rugs can also be cleaned and brushed.